5 inches tall and 6.25 inches wide, made of cold cast resin and hand painted. 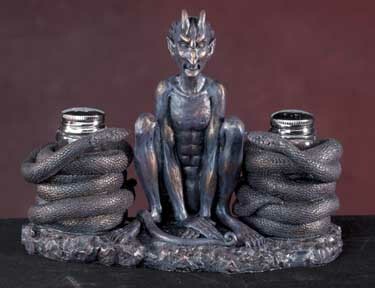 Can be used as a holder for salt and pepper shakers or a double candleholder. These have been discontinued by the manufacturer and are quite rare to find. We have only a few sets left.